Just wanted to pass along Jeet Heer’s piece, “Divine Inspiration” in The Walrus, on Marshall McLuhan, his legacy, and his Catholicism. Excerpts below. Click through for the whole piece which is not long at all. Like Marx and Freud, he was an intellectual agitator, a conceptual mind expander, the yeast in the dough. After Marx, we can no longer ignore the reality of class difference; after Freud, we can’t pretend that our mental life isn’t saturated with sexual impulses; after McLuhan, we can’t imagine that technology is just a neutral tool. 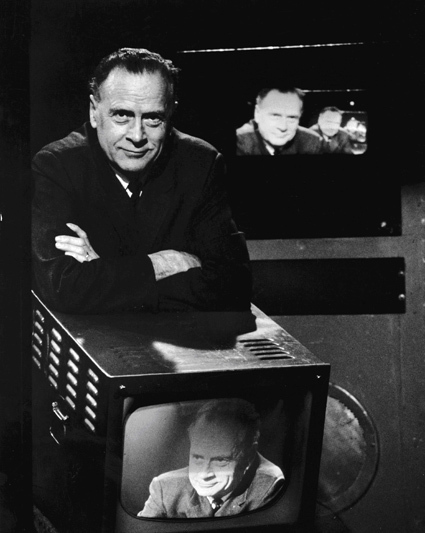 Moreover, like Darwin and Marx, McLuhan is no longer just one man but rather a living and evolving body of thought. A few months ago I posted a link to a YouTube clip of the Mailer/McLuhan debate here, and here is a piece on Chesterton’s influence on McLuhan.